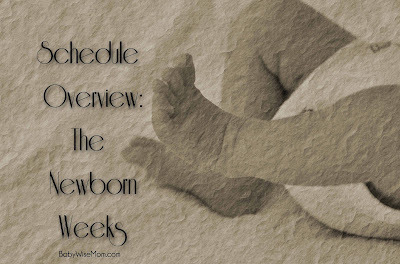 In this post, I tell you want to expect during those newborn weeks. 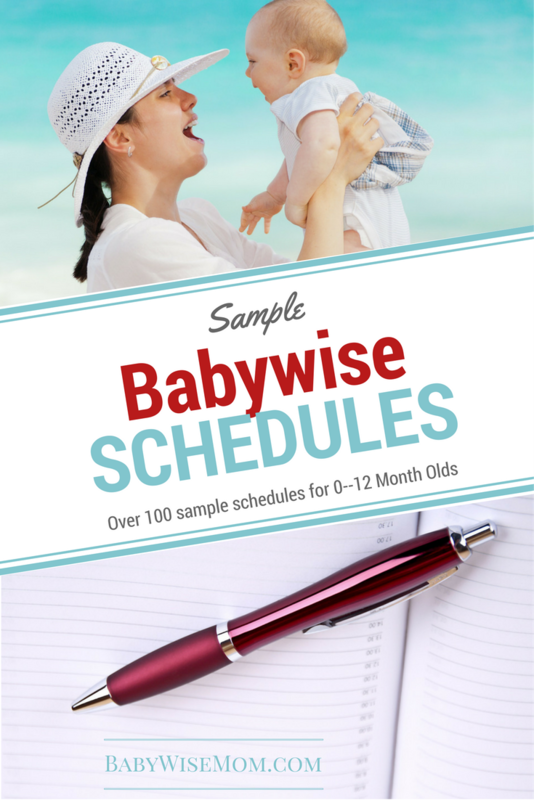 I also include some sample schedules for your newborn. Sometimes you just need a big picture overview of how things will progress. I have written a comprehensive first year overview that includes what to expect in eating, sleeping, and playing. 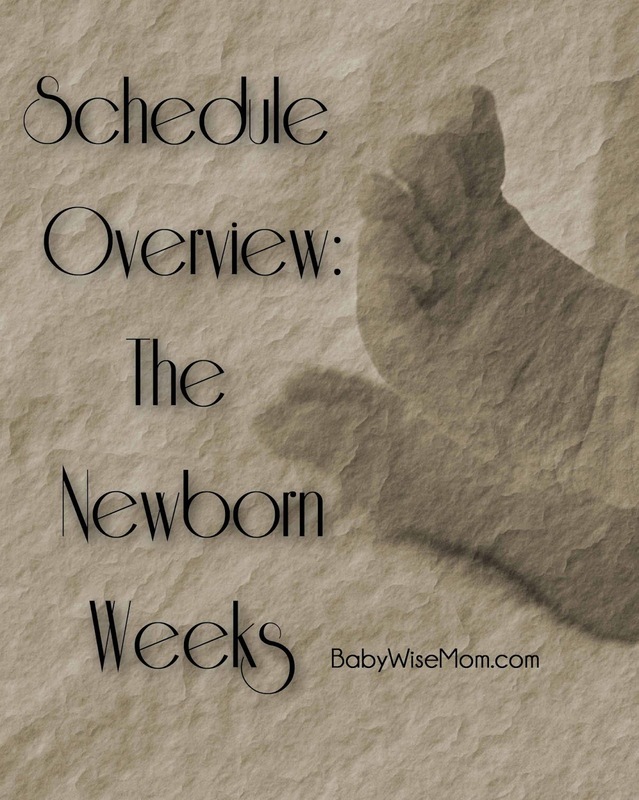 This post today is a schedule overview. You can see samples from each week. These are real schedules we really used. You don’t want to stress about the clock during week one, but you don’t want to ignore it, either. Some newborns are super sleepy and will not wake up unless you wake them up to eat. If you are waking baby, aim for eating every 2.5-3 hours. Start your morning, go every 2.5-3 hours, and then end with your evening feeding around 10-11 PM. Then night starts. During night hours, don’t go any more than 5 hours. Make sure your baby is eating 8-10 times a day. Have a target time to wake up each day and wake baby up to eat at that time each day. Choose your ideal start of day time, but recognize baby will have a natural disposition that will come out in later weeks. I like to aim for about 7:30, but that is just my personal preference (and I have only had one of my four babies who agreed with 7:30). If baby is waking to eat, go with baby’s lead for feeding. Don’t stress out if baby wants to eat more often than 2.5-3 hours. One thing you do want to be sure of is that baby is eating a full feeding each time. The same rules of week one apply to week two. You will now start to focus more on getting that routine in. Continue to focus on a morning wakeup time. Work to eat every 2.5-3 hours. There might be times when your baby needs to eat every 2 hours. You might have a growth spurt this week. If so, your baby will wan to eat every 2 hours all day, maybe sooner. This is okay! This is not a problem! No need to stress. Just feed baby more often. I went to bed after the 9:00 nursing. She then woke twice in the night to nurse. If a growth spurt didn’t happen in week three, it will in week four or five. I still woke her twice in the night. Watch for the growth spurt if it hasn’t happened yet. Really be focusing on keeping baby awake for some playtime throughout the day if you haven’t started yet. 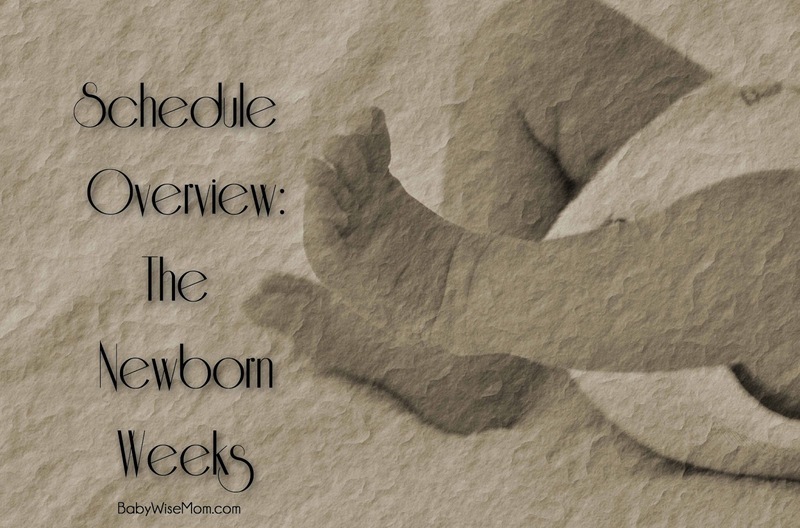 This is the week you can officially stop waking baby up to eat at night every 5 hours if you feel like baby is ready for it. 7:15-7:45–nurse. I changed our 30 minute window to this. She woke twice in the night for the first half of 6 weeks old, then went down to once a night. This is a week you start really hoping sleeping through the night will be coming soon. For some babies, you might be just hoping to go down to one feeding a night instead of two (I was there for a couple of babies!). This is our daily schedule that we shoot for. Our first feeding varies the most. It typically ranges between 6:30 and 7:30 AM. She is now old enough to do 2.5 to 3.5 hour intervals between feedings, so if she is sleeping when the time comes up, I let her go up to 30 minutes longer. She will eat better if she wakes on her own, and if not, those extra thirty minutes can often be enough to get her interested in eating. Again, this is a time we are hoping for sleeping through the night! I added in cluster feeding with one baby at this age, which helped with longer stretches at night. Your baby might be able to do only six feedings in a 24 hour period at this age. Wonder Week 8 can creep up this week. Baby can be more clingy, cry more, lose appetite, and sleep poorly. Some babies will be able to drop the dreamfeed at this age. It isn’t unusual to be much older, though. Baby also might be able to go 9-10 hours of sleep at night, but there are still plenty not sleeping the solid 7-8 hours yet. then night feed. Typically, this happened between 6-6:15. Toward the end of the week she slept until 7 AM. 3:30 or 4:00 PM–eat (sometimes she wakes at 3:30, sometimes she continues sleeping and I get her by 4:00). Every other night, she ate between 5:30 AM and 6:00 AM. Those days, we started at 8 AM. The other days, she at between 7:00 AM and 7:30 AM. She still slept until about 11:00 AM.